Ranger-Tim Holtz Distress Paint Flip Cap. 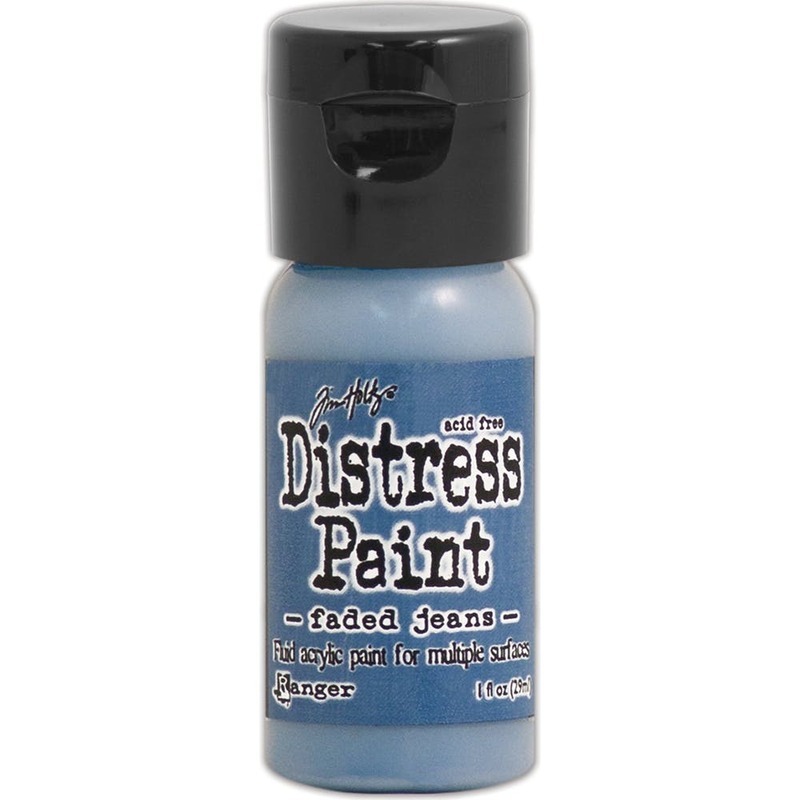 This water-based acrylic paint is perfect to accomplish a wide variety of artistic techniques. Use with stamps paper wood metal glass plastic and more for a timeless matte finish on crafts projects. This package contains one 1oz bottle of acrylic paint. Comes in a variety of colors. Each sold separately. Conforms to ASTM D4236. Made in USA. Water-based acrylic paint is perfect to accomplish a wide variety of artistic techniques.